Invest in a tablecloth and 12 napkins for your table. Most often you will use a tablecloth for a larger group when your table is extended to its largest size. You will get years of use out of it if cared for properly. 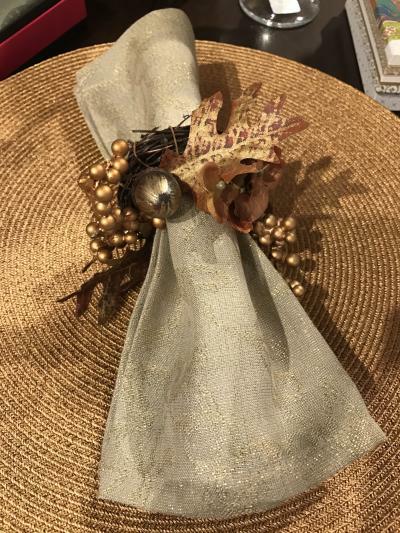 A neutral cloth can be transformed into any holiday theme. 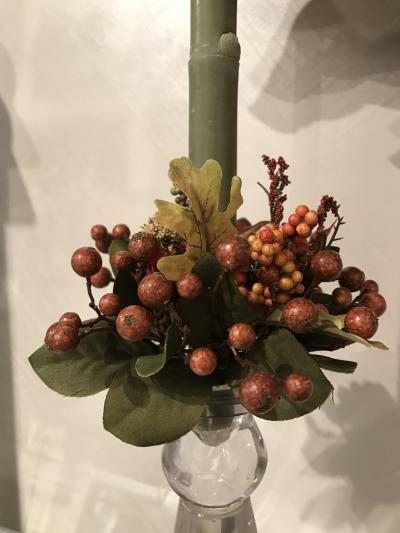 Creating a centerpiece with natural branches, bows, and fruit and vegetables from the season helps bring color to the table. Use runners and season-appropriate greens down the center of your table. Layering on top of your cloth is great too. Decorative candles and napkin rings can help with creating your tablescape. Place cards and napkin rings add to the occasion. Use leaves spray painted gold or silver, or write the names on cards and attach an herb or spruce sprig with a string. All are simple details that add to your holiday table. Also remember, if the colors of the holidays don&apos;t work with your decor, use the colors that do work, and accent with golds, coppers and silver to create the feel for the season. For things to do in the Providence area this holiday season, click here. Wendy Brown is the owner of Wendy Brown Home and president of the Wayland Square Merchants Association.